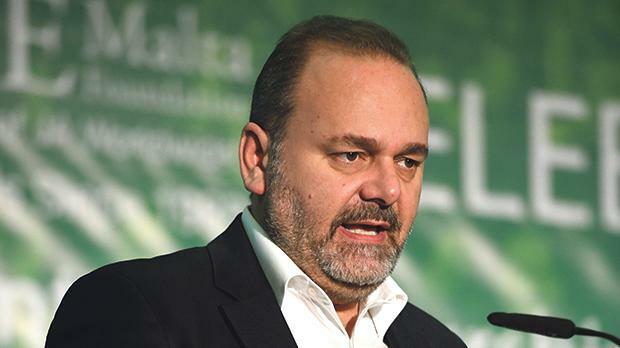 Cardona’s Monaco hotel invoices remain "misplaced"
The Economy Ministry was unable to trace hotel invoices and other paperwork related to a solo trip Minister Chris Cardona made to Monaco in 2015, despite requests made by the NAO and the Data Protection Commissioner. Following a request made by the Times of Malta to obtain a copy of the full invoice of the unnamed Monaco hotel, for which Minister Cardona was charged €2,666 a night, breakfast included, the Data Protection Commissioner was not able to acquire the necessary information as according to the ministry, “it does not possess such documentation”. The ministry was not even able to supply Times of Malta, through a freedom of information request, with a copy of the programme which the minister followed while on his official visit to the glitzy minuscule state on the French Riviera. The documents were requested following revelations in a National Audit Office report flagging lack of accountability by Dr Cardona’s private secretariat. In its report, the NAO had said that it could not verify the expenses associated with his solo trip, made to Monaco over a weekend between Friday, May 22 and Monday, May 25, 2015, for which he had claimed €2,003 in extras over and above almost €8,000 spent on accommodation. However, despite its efforts to obtain the necessary documentation, the NAO had failed as Dr Cardona’s aides claimed that the parts of the invoice requested for verification were “misplaced”. In its exercise, the NAO had also found that the form on the return of expenses – a government procedure to be followed after every ministerial visit – “also failed to include the accommodation expenses of €8,000” for the Monaco trip. “The post-travel submission from the Monaco trip was not traced to file. When queried on the matter, the Economy Ministry stated the form had been compiled but was only filed at the time of the audit. The ministry failed to produce a copy of the form when requested by the NAO,” the office said. Dr Cardona has hit the headlines for the amount of solo trips he had made paid by taxpayers. He travelled alone to various countries including Russia, Ukraine, Warsaw, Budapest and Dubai among others. When quizzed why he conducted official business alone and with no other government official present, as protocol demands, Dr Cardona insisted that he travelled alone so as “not to waste money”.